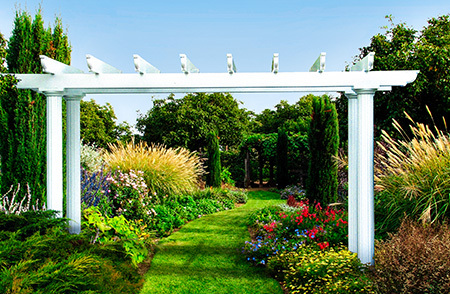 Sunroom Additions vs. Traditional Home Additions: What is the Right Choice for Newark, DE, Residents? Installing one of SRA Home Products’ sunroom additions is an excellent way for Newark, Delaware, residents to increase their living space. However, many people who are planning to expand their homes find it difficult to decide between installing a sunroom and installing a traditional home addition (also commonly referred to as a “stick-built addition”). Better views — Our sunroom additions feature wall-to-wall windows that can provide panoramic views of your Newark, DE, backyard. Traditional home additions usually have one or two windows at the most, resulting in less square footage of window glass and a more restricted view. Lower costs — A sunroom can typically be installed for a fraction of the cost necessary to construct a traditional home addition. Sunrooms are also often subject to lower tax assessments as compared to traditional home additions, saving you additional money. 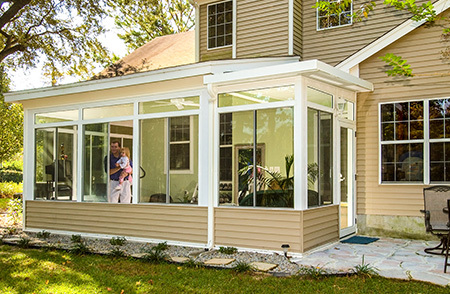 Greater efficiency — While traditional home additions may take weeks or months to construct, we can typically install sunroom additions in one to two days. 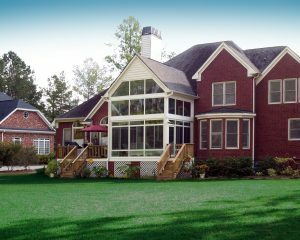 Although you may be concerned that sunrooms don’t offer the permanent heating and cooling options available with traditional home additions, we offer thermal sunroom additions, which feature insulation and windows designed to regulate temperature and maximize use of the space throughout the changing seasons. You also have the option of installing certain non-permanent heating and cooling systems, if you so desire. Plus, when you choose to have SRA Home Products install your new sunroom, you can rest assured knowing that you’re in the best possible hands. We’ve been family-owned and -operated for two generations, and our unwavering dedication to our customers has helped us achieve an A+ rating with the Better Business Bureau. Our sunroom manufacturer, TEMO, has also attained an A+ rating with the Better Business Bureau, and has remained a leader in the outdoor living industry since being founded in 1967. If you’re interested in asking us to install one of our state-of-the-art sunroom additions at your home in Newark, DE, please contact us today. We would be happy to answer any questions you may have regarding the benefits of a sunroom, as well as the design and installation process.